Comfortable yet stylish, this top from Kraus will be a great choice for you. 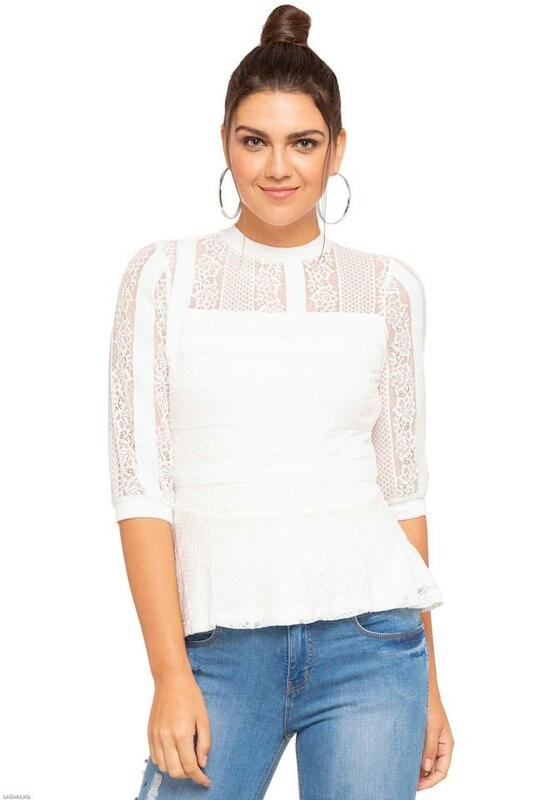 The solid pattern along with the lace yoke gives this attire a chic appeal. It also has a band neck that further adds style to it. Besides, the use of a fine quality fabric ensures that you stay comfortable all through the day. This band neck top is a no fail way of looking chic at any casual outing. You can club it with a pair of cigarette pants and pump shoes to make an impressive style statement.